This shot came out of a photo session that I’ll never forget. This bride and groom, along with their bridesmaids and groomsmen were some of the wildest, craziest, fun-loving people I’ve ever had the pleasure of photographing. The candid shots we took during this session, and the hundreds of candid photographs we captured at their wedding reception defy description. Stop by my East Northport, NY wedding photography studio and gallery and I’ll show you all the images from their amazing day. This picture was taken on Tanner Beach in Copaigue, NY on our way from the church to the reception venue: The Venetian Yacht Club on The Great South Bay in Babylon, NY. Over the years I have photographed literally hundreds of weddings at this venue. To say I’m experienced with this facility is an understatement. Growing up on Long Island is synonymous with the waterfront and there are many fabulous venues to choose from for your wedding celebration. Some of my other favorites include The Bridgeview Yacht Club in Island Park, New York; Chateau LaMer in Lindenhurst, The Bourne Mansion and Land’s End in Sayville, Lombardi’s on the bay in Patchogue, Oceanbleu at The Westhampton Bath and Tennis Club and Gurney’s and The Montauk Yacht Club in Montauk. Shoot over to the north shore of Long Island and you can choose from Lombardi’s on the Sound in Port Jefferson, The Harbor Club at Prime in Huntington and The Crescent Beach Club in Bayville. 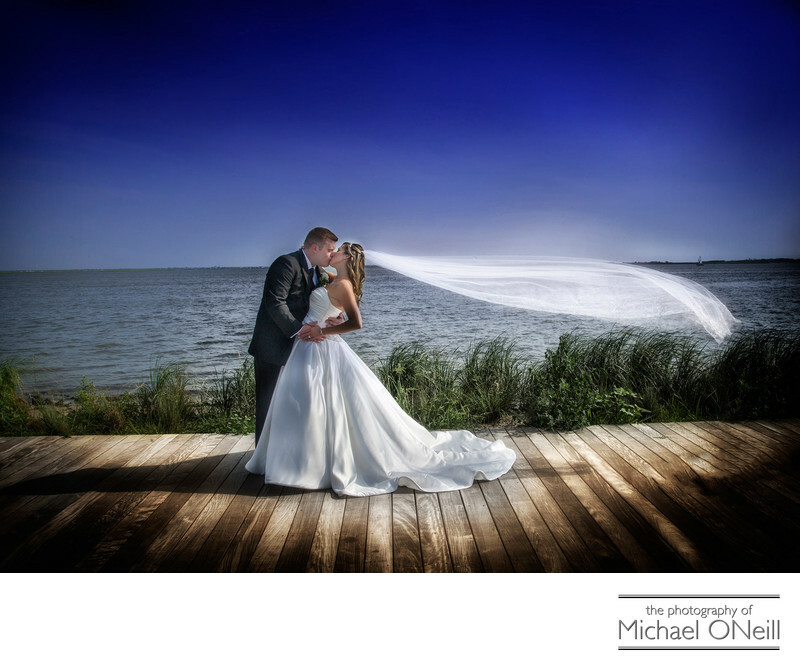 I would love to create some waterfront masterpiece images on your big day.